Group F on paper at least looks to be the weakest group in the draw and Italy will be expected to win the group easily. However things don’t always work out as planned and Paraguay who played well in qualifying look good enough to join them in the second round and could push them close for 1st place. Holland look clear favourites in this group and they should qualify with three wins on their way to the quarter finals at least. Cameroon and Denmark will both fancy their chances of grabbing the second place, and Japan will in all probability be pleased to finish anywhere above 4th. In what looks one of the tighter groups Germany will be a strong favourite to advance and will probably be group winners. All the other group teams are in with a chance and this is reflected in their high FIFA rankings. 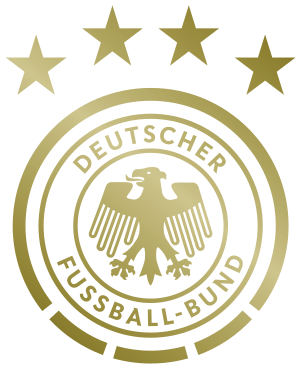 Germany have a terrific record in World Cup Tournaments having won the final three times (2 as West Germany) and appearing in the final on 4 other occasions. They almost invariably reach the quarter finals and look in good form having come through a reasonably strong qualifying group without losing a game. Most of their squad are household names in Europe and they are currently amongst the favourites to win the Tournament outright. It would be one of the shocks of the tournament if they don’t qualify. CFR Cluj a one time lower league club playing in the city of Cluj Napola will be looking to win the Romanian Cup for a third successive year on 25th May when they face fellow Liga 1 team SC Vaslui. Cluj are currently six points clear in Liga one and if they do take the cup as well it will be their second League and cup double in 3 years as well as a hat trick of cups, which has broke the normal trend of the cup going to one Bucharest teams. In what must rank as the best overall team performance of the season Fulham have reached their first ever European Final thanks to a 2-1 aggregate victory over Hamburg in the Europa League. Fulham have only competed in Europe once before back in 2002-3 season when they won the Intertoto cup and this season had to come through the third qualifying round and a playoff round just to reach the group stage. The Bulgarian Cup Final will be of note this year as Chernomorets Pomorie became only the second non top league club to reach the final. In the semi final Chernomorets defeated fellow League B club Kaliakra Kavarna 3-0 on penalties after the tie finished 1-1 following extra time. In the other Semi League A team Beroe Stara Zagora, League B Chavdar Etropole 1-0 and will now be strong favourites to win the final and gain a place in next seasons Europa League. The Final will be played on 5th May at the Lovech Stadium, which only has a capacity of 7,050 probably reflecting the expected low crowd due to the final being contested by smaller clubs. After a 38 year wait Inter Milan fans will get the chance to cheer their team in the European Champions league this year following a stout defensive performance in their 1-0 defeat in Barcelona last night. Inter Milan leading 3-1 from the 1st leg came to defend adding defender Christian Chivu to the line-up minutes before kick-off and after they were reduced to 10 men in the 1st half it was largely one way traffic towards their goal. Despite their overwhelming possession Barcelona rarely looked likely to get back into the game and their only goal came after the moved central defender Pique into an attacking role, where he showed great composure when grabbing his goal, which probably should have been chalked off for offside. A few minutes latter things though things evened themselves out as Bojan’s potentially winning goal was ruled out for a harsh hand ball decision. Overall Inter Milan deserved their bit of luck given the sending off looked harsh and despite having no shots at goal in the game and very little possession few outside of Spain will begrudge Inter their first Champions league final since losing to Ajax in the 1972 final. Inter Milan will now face Bayern Munich in the Final where Jose Mourinho will attempt to win the competition with a second club having guided Porto to victory in 2004. A victory for Inter will be their first since 1965 when they won the trophy for the second year running. In what looks like a classic game Barcelona are trying to overcome a 3-1 deficit from the 1st leg. The winners will play Bayern Munich in the final at Real Madrid’s Bernabeu Stadium(right). Much as Barcelona would love to take the cup in their main rivals back yard I will be surprised if they manage to overcome the deficit and I expect Inter Milan to hold out giving Jose Mourinho a chance to win the trophy with a second team. Bayern Munich swept Lyon aside in the Champions League semi final winning 3-0 in Lyon last night. Leading 1-0 from the first leg a goal from Olic after 26 miutes effectively finished off the tie and he completed his hat trick with two more in the second half. Lyon had a few chances but never really looked like getting anything from the game and they will have to wait another season at least before they reach a Champions league final for the 1st time. Bayern on the other hand have won the Final in its various guises 4 times including winning it for 3 consecutive yeards between 1974 and 1976. They are now well on course for a historic treble, being in the final of the German cup and they are top of the Bundesliga with 2 games to go. The 2010 Bulgaria Cup semi finals are due to be played on April 28, with West B league (second division) side Chavdar Etropole taking on Beroe Stara Zagora who are currently mid table in Bulgaria A. In the other Semi Final Chernomorets Pomorie will face Kaliakra Kavarna. (both play in East B).